Attorney Laura Rodriguez Profile - Laura Rodriguez P.C. 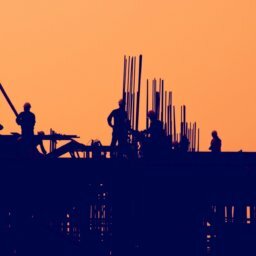 Major law firms in Texas, Florida, and New York turn to Attorney Laura Rodriguez for help with their workers’ compensation, personal injury cases, and offshore injury cases. Call her today for a free evaluation of your case. Find out who Attorney Rodriguez is and what is the driving force behind her never-ending strive for justice and high-quality legal representation. Laura Y. Rodriguez is passionate about obtaining justice for those whose lives have been dramatically altered because of an on-the-job injury or auto accident. Her interest in law began at an early age when she experienced first hand the devastating effects of having a loved one pass away during a work-related accident. Born and raised in the Rio Grande Valley, Ms. Rodriguez completed her undergraduate studies at the University of Texas at Brownsville. During her studies at St. Mary’s University School of Law, she also attended the University of Innsbruck in Austria where she studied International Law. During her third year at the law school, she participated in the Civil Justice Clinic Program where she gained valuable experience as a student attorney advocating for low-income individuals. 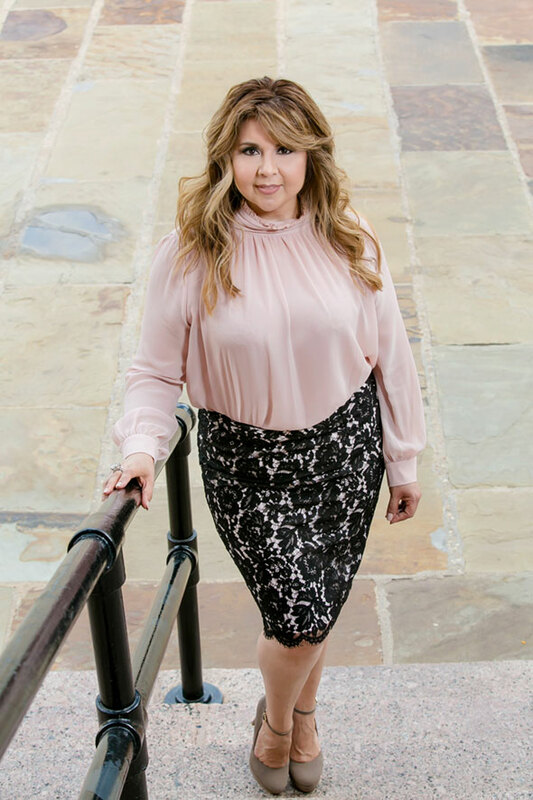 After graduating from St. Mary’s School of Law, she began her legal career at a large Houston law firm where she became partner within a short period of time. Laura Rodriguez has successfully represented countless injured workers in proceedings before the Texas Department of Insurance Division of Workers’ Compensation and the Office of Workers’ Compensation in Louisiana. She has assisted clients from Louisiana and from the four corners of our great State of Texas: from Amarillo, Tyler, Rio Grande Valley, to El Paso, and the cities in between. She has gained the respect of her clients, colleagues, and division staff. 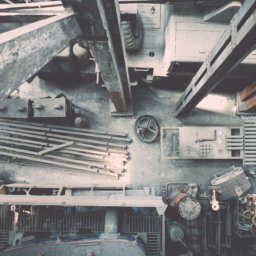 Laura Rodriguez’s practice also extends to the representation of injured workers whose claims fall under the Federal Longshore and Harbor Workers’ Compensation Act (LHWCA). 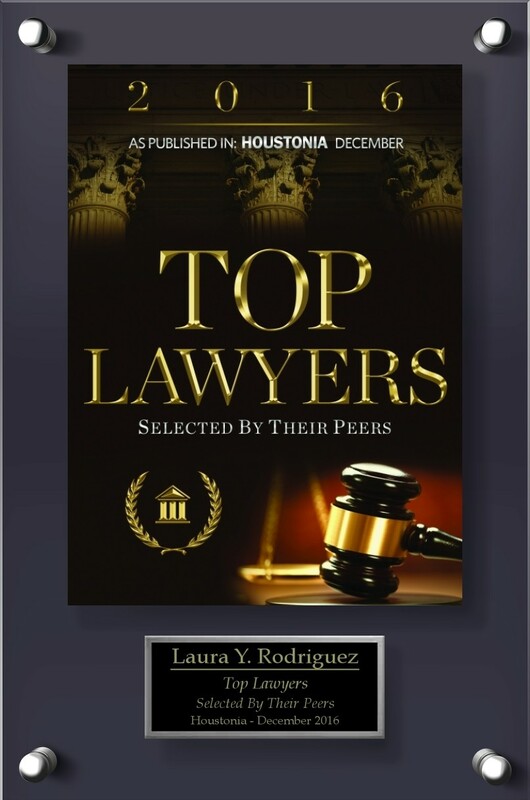 She is one of only a handful of attorneys in the Houston, Texas area and one of only three known Latina attorneys in the entire United States who represent claimants under LHWCA. She has represented Longshoremen that have been seriously injured in U.S. water-ports, offshore oil rigs, and vessels along the East Coast, Mississippi River and the Gulf of Mexico. If you have been injured because of someone else’s carelessness, I can help. Don’t take on legal problems alone. Contact me today! Communication with our firm or any member of the firm via an electronic form or through the Internet does not create an attorney-client relationship. If you have confidential or urgent information to share with us, please do not submit it via an electronic form. 2018 © Attorney Laura Y. Rodriguez, P.C.